Grew Up... in New York’s lower east side. Brody joined the police force at the young age of eighteen. Living… in Amity Beach, where a killer shark is terrorizing locals and summer tourists. Profession… chief of police. Brody is responsible for keeping the local beaches safe – a job that became increasingly difficult when a killer shark began to feed at Amity. Interests… his family, his town, and his job. Brody is a predictable man who merely wants to do his job right. Relationship Status… happily married to Ellen. Brody has devoted himself to finding the shark currently loose in Amity. His family’s safety depends on it. Ellen supports him and wants their two sons to remain safe. Personality… responsible, heroic. Brody’s the kind of the man who will do everything to keep those around him safe. Finding this shark is the biggest challenge of his life, and he is not willing to let anyone down. Martin Brody's popularity ranking on CharacTour is #2572 out of 5,000+ characters. See our top-ranked characters and read their profiles. The sequel to the successful blockbuster Jaws. 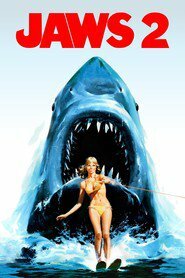 An American horror thriller from 1978 about a great white that brings fear to everyone near the water. The film used it’s predecessor’s success to achieve it’s own and was not directed by Steven Spielberg but Jeannot Szwarc who made an entertaining and thrilling sequel.